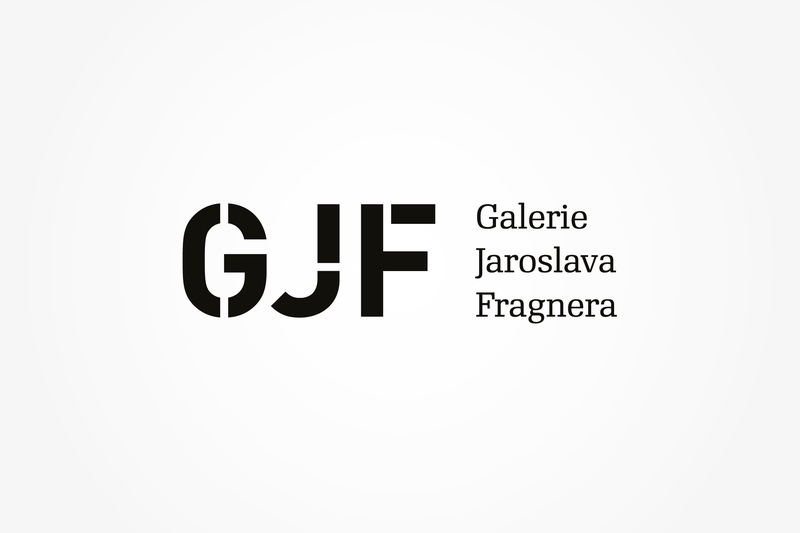 This visual ID is a play on the abbreviation of the title GJF (Galerie Jaroslava Fragnera). 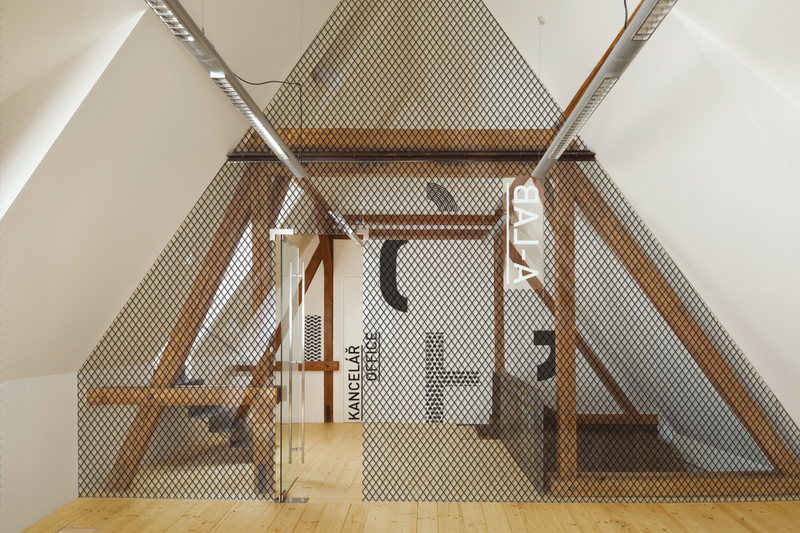 The letter‑fragment puzzle alludes to modern architectural arrangements and materials. 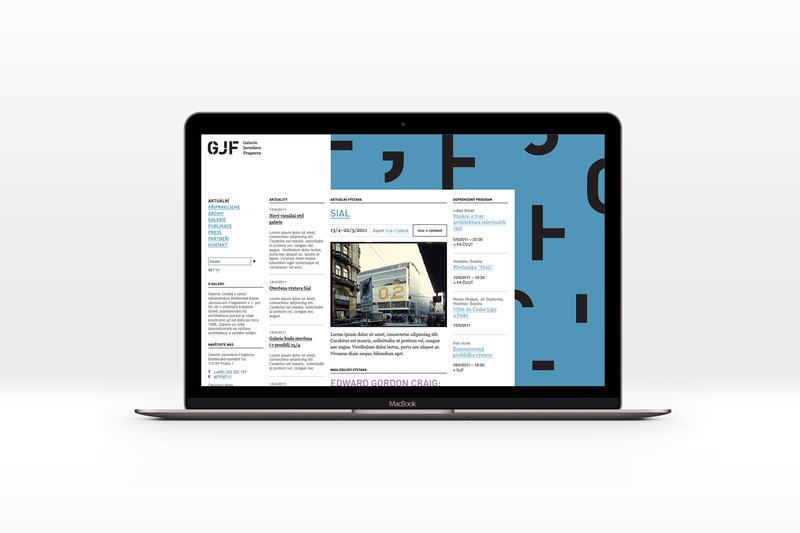 The flexible principle allows for novel decorations on the stationery, posters, and advertising gadgets. 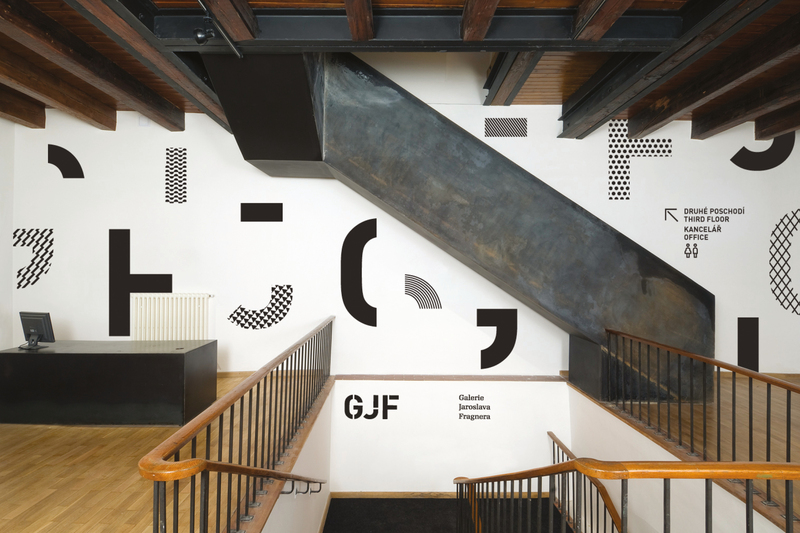 The logo itself and other parts of the ID have been consciously chosen to contrast with the gallery building. Particular care was given to selecting the right materials and techniques – e.g. silkscreen, stencils. 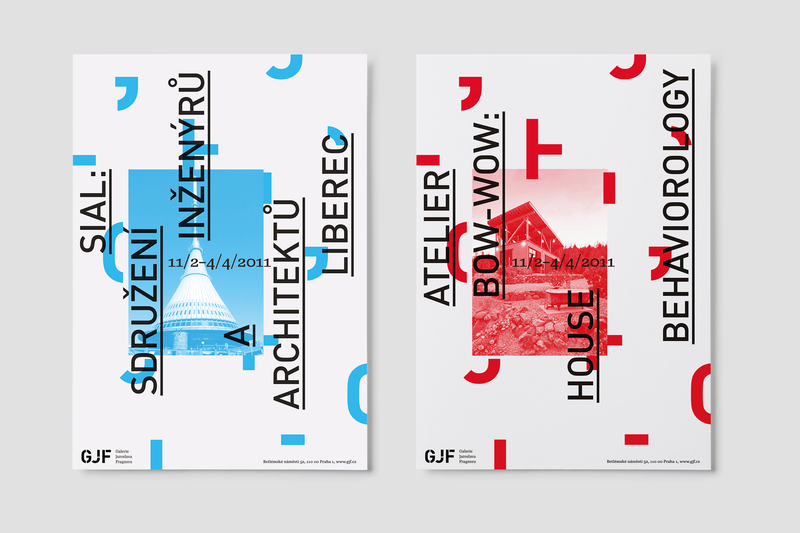 A facade design, information inside the building, and a web page are included in this bachelor project. Custom furniture was also part of the solution. 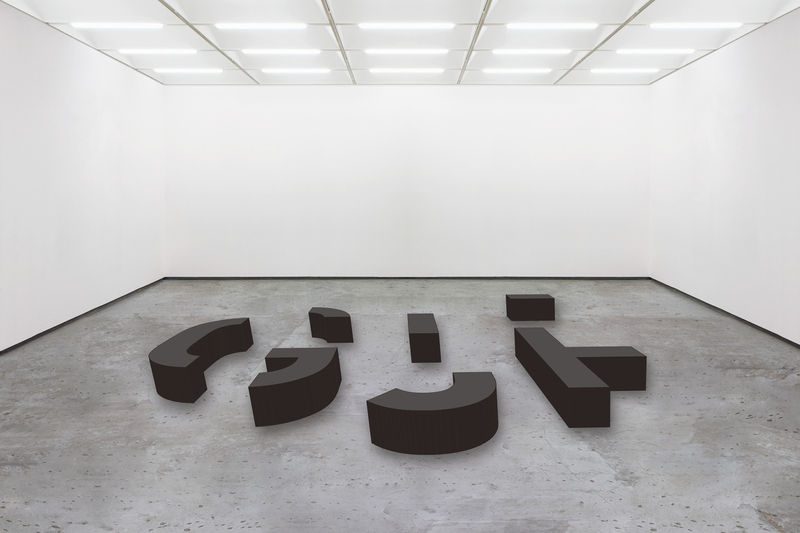 In the morning, when the gallery opens, the furniture should be arranged to form the gallery logo. Over the course of the day, visitors shuffle the pieces around, changing the layout, making the logo “come alive” in space.